The following is a list of organizations and individuals who have joined our Solidarity Network to support the call for the full implementation of the human rights of Aboriginal women and girls. 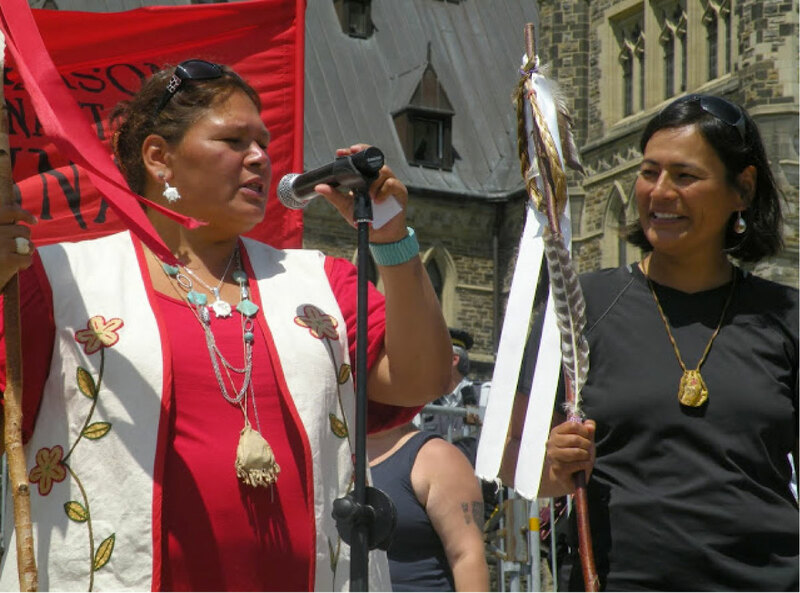 Above: Vivanne Michel (left) and Michelle Audette (right) rally in front of the parliament buildings, Ottawa. We invite organizations and individuals to support the full implementation of the human rights of Canada’s Aboriginal women and girls by adding your names to our growing solidarity network.